Happy Women in Horror Month! 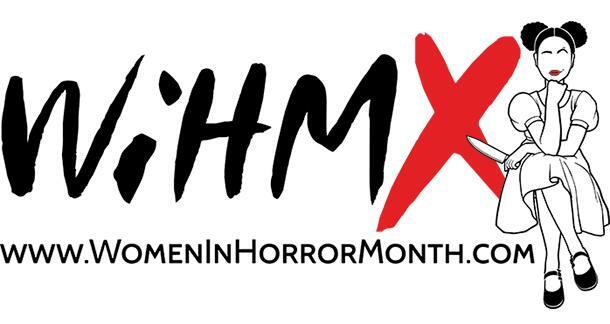 This February marks the 10th annual celebration, which aims to advance the visibility of and opportunities for women working in all creative fields of horror. From filmmakers to artists to writers, this is the month to raise awareness of the badass ladies who work hard to give you chills and thrills. Whether you’re new to Women in Horror Month or ringing it in for the tenth time, you’re probably looking for some ideas of how, exactly, to celebrate. Never fear! I’ve got a big ol’ list of them just for you. This might sound obvious, but it is step number one. For women to keep creating, we need you to buy our work. There are lots of other ways to support female artists (see below), but money is queen. So when possible, buy, buy, buy. Check out the hashtag #WiHMx to see how others are honoring the month—and maybe even join in on someone else’s plan. “Challenges” are popular for a lot of reasons, not least of which is they feed our competitive and/or goal-oriented natures. They’re also a great way to focus your intention and organize your materials. If you prefer movies, maybe you want to watch one female-directed, -written, or -starred film every night. If you prefer reading, maybe your challenge will be to read a short story by a female author every night, or a novel a week, or whatever. There are lots of these that you can follow along with on social media, like the Ladies of Horror Fiction’s #lohfreadathon or Liv Lingborn’s #wihmxartchallenge, which come with suggestions and prompts. Or if you can’t find one you like, build your own. Bonus for sharing it with your followers and encouraging them to join in! One of the aims of WiHM is to increase visibility of women working in horror. What better way to contribute to that than by spreading the word about your favorite artists? You don’t have to be a marketing expert to promote; it’s ultimately just word of mouth. Tell your friends about that amazing book, story, movie, song, or art you’ve found. Loan things out, send links. Request the material at your local library so other patrons can find them too. Tweet about it. Share your passion for someone’s work on social media. Don’t be shy; creators love this, and will certainly appreciate the boost! If you loved a work, whether film or literature or something else, go online and leave positive reviews on all the relevant sites (you can copy-paste the same one across various platforms). This helps potential readers/viewers/consumers decide to make the leap and give new creators a try. New fans beget more fans. Speaking of fans, if you are one, tell the creator! 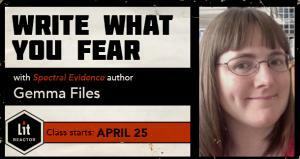 If a female artist has rocked your world with her terrifying artistic vision, let her know! Writer her a fan letter, an email, send a tweet. Say nice things, tell her how much her work means to you or how it has influenced you. These kind words are a powerful way to encourage the artists you want to keep creating. We put our work out there to be consumed and hopefully enjoyed; hearing that someone has done so is the greatest gift. But don’t just stick to the artists you already know; branch out! WiHM is the perfect time to seek new creators and broaden your horizons. Lists of recommended writers, filmmakers, and artists abound. Search hashtags or the Google machine, follow relevant accounts, ask for recommendations. However you go about it, you’re sure to find a new favorite or two. If you really want to go the extra mile to support female horror artists, set up your own event! 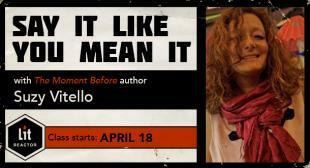 Host a reading, signing, or screening. Volunteer to moderate a panel. Curate an art show. Schedule a local meet and greet. Reach out to your community and focus on spreading the word. Whether it’s with ten friends in your backyard or the whole city in your local art center, hosting events that spotlight women in horror gives people who can’t/won’t otherwise try the work a risk-free chance to do so. Women are already making good stuff; gaining visibility is half the battle. Too busy or tired to organize your own shindig? Go to one! Someone else near you is probably hosting something, and you attending that is part of its success! So check the WiHM calendar, Twitter, or your local event pages and go. Not much of a social butterfly? How about getting creative yourself? If you’re a woman in any of the arts fields, consider branching into the dark side. Or if you love horror but haven’t ever fancied yourself creative, maybe try your hand at something small. Will it be a masterpiece? Maybe, maybe not. (You never know unless you try.) But at the very least it will probably help bring new appreciation to the work women are doing in the field. And if you’re already on it, thank you. We need you. Keep up the good work. Last but not least, if you’re short on time and energy but still want to make a difference, there’s always the old fallback of giving. You can donate blood, donate money, or buy some cool merch. These are always simple and wonderful ways to support the cause. The movement continues to gain steam each year, and contributing to those who work hard behind the scenes to keep it going is a failproof way to do your part. And if this STILL isn’t enough idea-candy for ya, check out the hashtag #WiHMx to see how others are honoring the month—and maybe even join in on someone else’s plan. Whatever you choose, have fun and make it great! How are you celebrating Women in Horror Month this year?